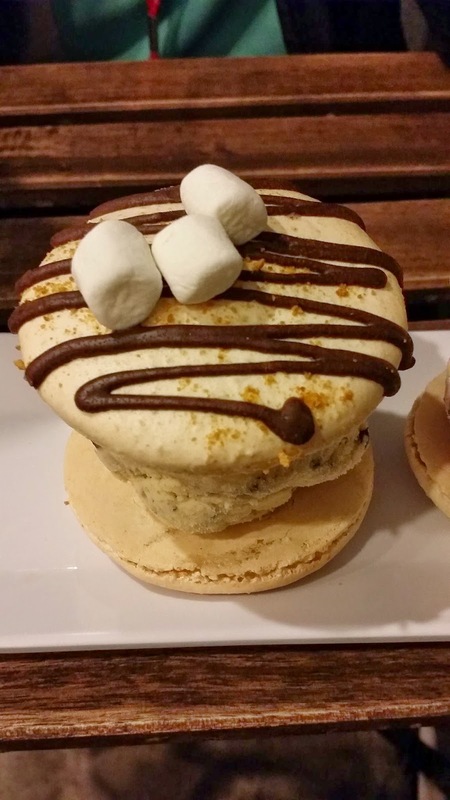 MACARON ICE CREAM SANDWICHES & MORE @ SNOW MONSTER - WESTMINSTER - EAT WITH HOP! 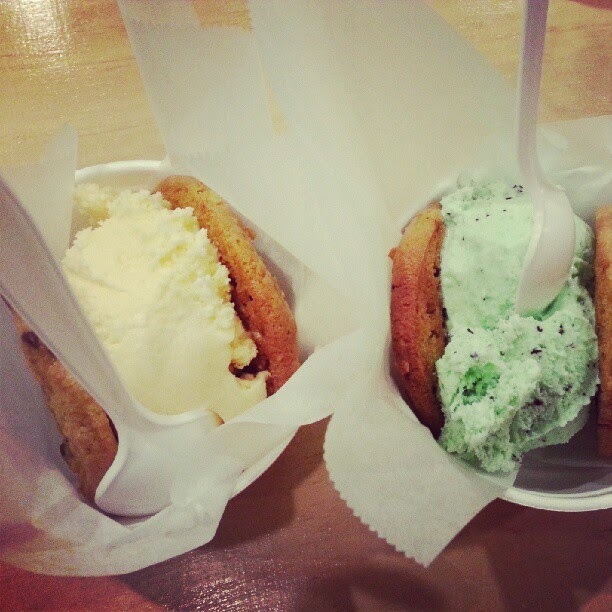 & DURING GRAND OPENING, WHO CAN RESIST BOGO FREE ICE CREAM COOKIE SANDWICHES?! 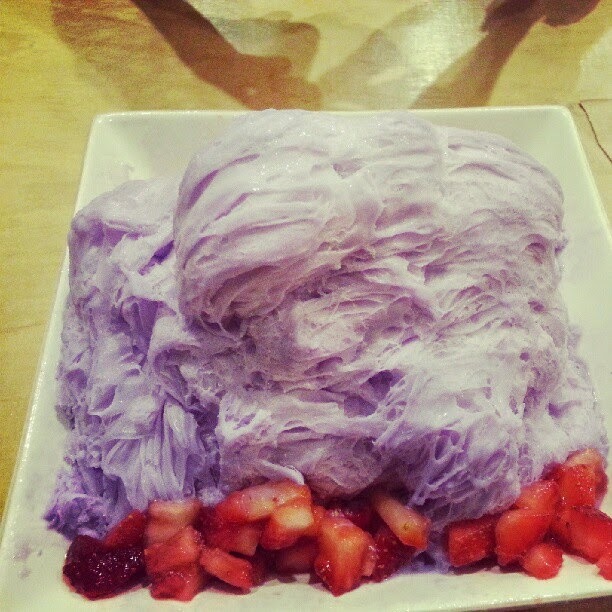 THIS WAS THE TARO SNOW FROM SNOW MONSTER DURING THE FIRST FEW WEEKS IT OPENED. HONESTLY IT WAS EHHH. IDK HOW THEY ARE NOW WHETHER THEY IMPROVED ON THEIR SNOW OR NOT BUT I PROBABLY WON'T EVER ORDER SNOW AGAIN BECAUSE FROM MY FIRST INITIAL EXPERIENCES, THEY LACKED FLAVOR. 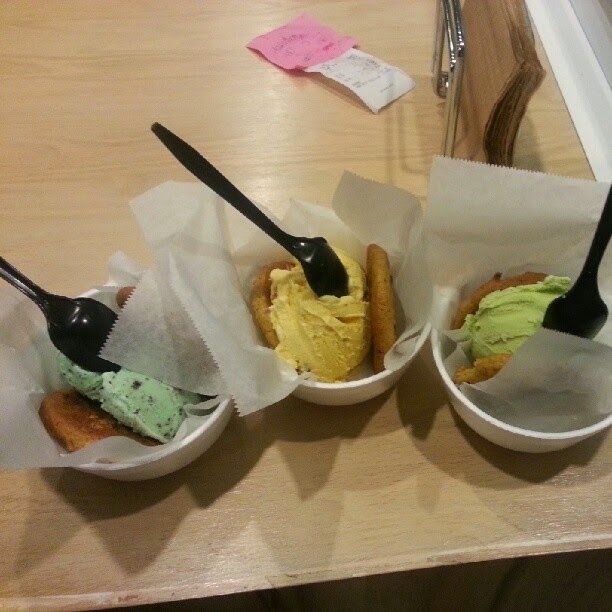 HOWEVER, YOU CAN'T GO WRONG WITH ICE CREAM SANDWICHES! I've basically been a loyal customer to Snow Monster ever since it opened. The staff was great and friendly and on most days there were always seats available. Not to mention, THE FREE WIFI! Anyway, this place these days is getting better business (great!) and it's pretty much always crowded whenever I visit. This means, it's pretty hard to find a seat so I'd end up to-go-ing my oder or I'd eat my order in my car or something because I would hate having to sit outside. It is unfortunate to say though that as this place is busier and busier, the customer service definite is lacking. I miss seeing the two owners Kathy and Ta. They had excellent customer service and I wish their other staff members would deliver the same. Everytime I come here now it feels rushed =/. Aside from the customer service, what about the food? Well, I never order shaved snow anymore from here so I don't know if it's good enough but from my initial experiences with it, the snow was aiiiiight. I would have prefered to go to Snow Station or the Snowflake Factory. 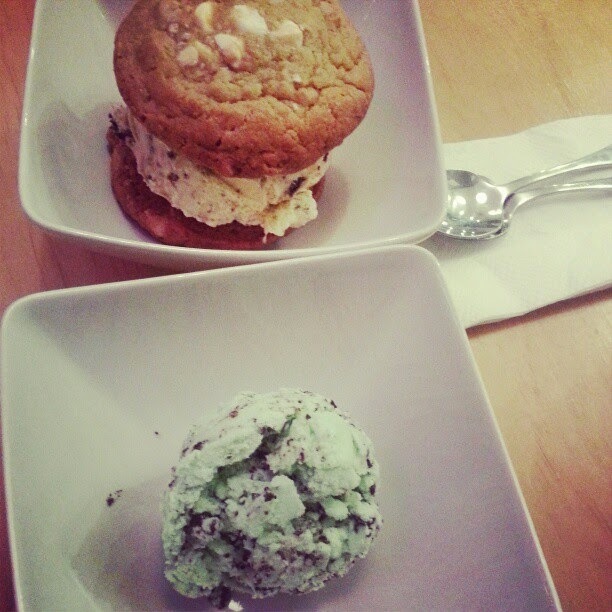 The ice cream sandwiches though are yummy and can't go wrong! 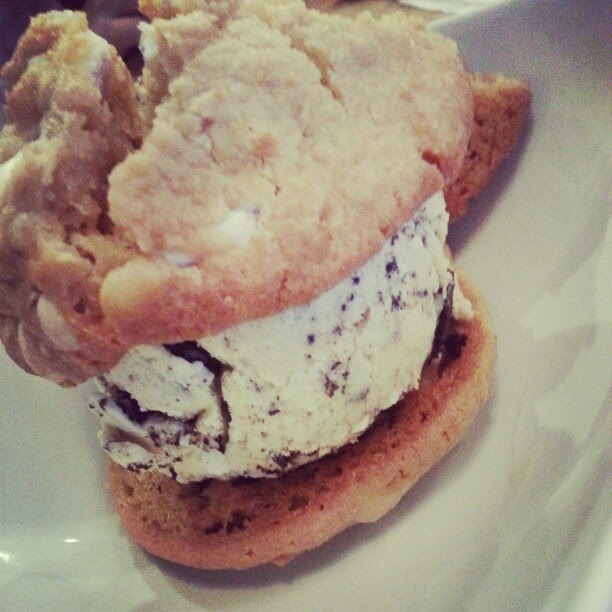 I love getting the white macademia cookie sandwich with cookies and cream ice cream! 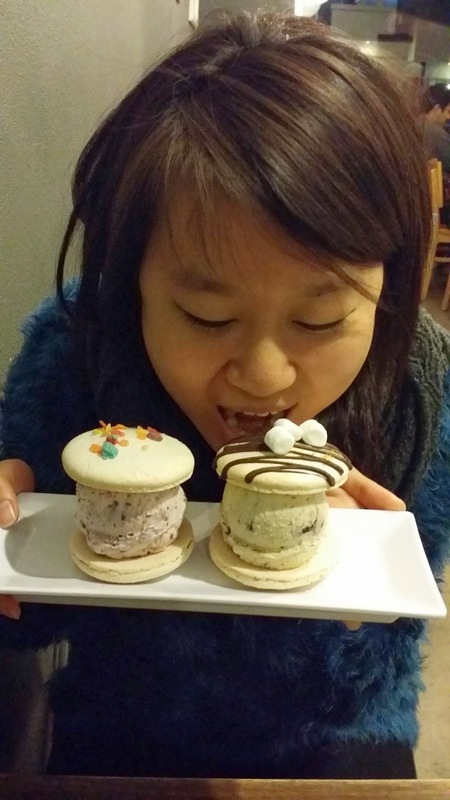 I also love getting their macaron sandwiches too! 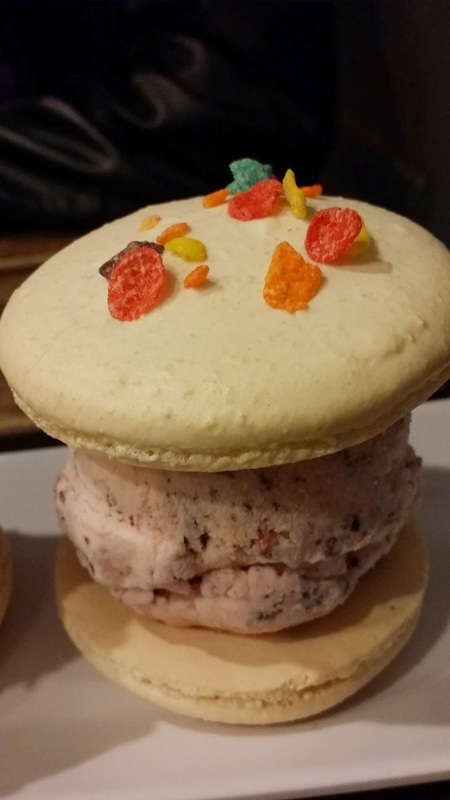 The macarons are pretty big and they don't skimp out on the ice cream, so it's not a bad deal! 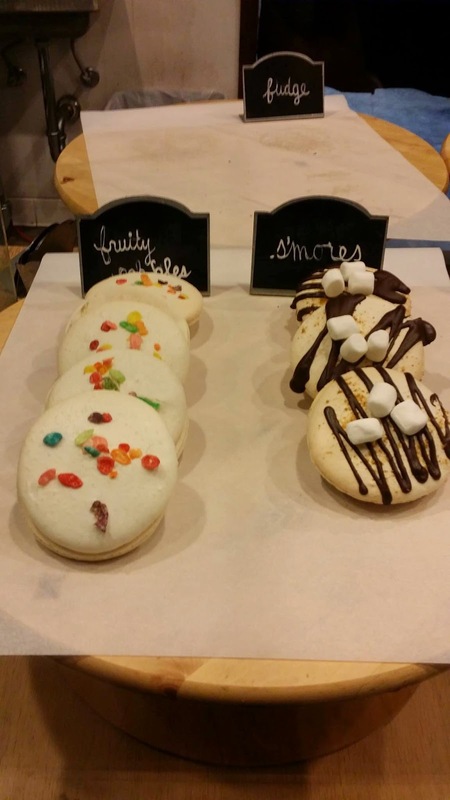 I noticed that these days when I visit they don't seem to have that many cookies offered; mostly just the macarons (where's my white choco macademia ?! ). 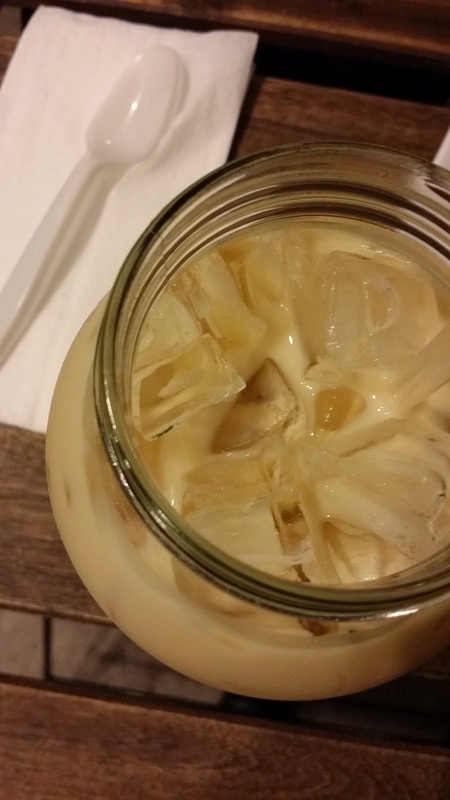 The thai tea and jasmine tea here is super refreshing! 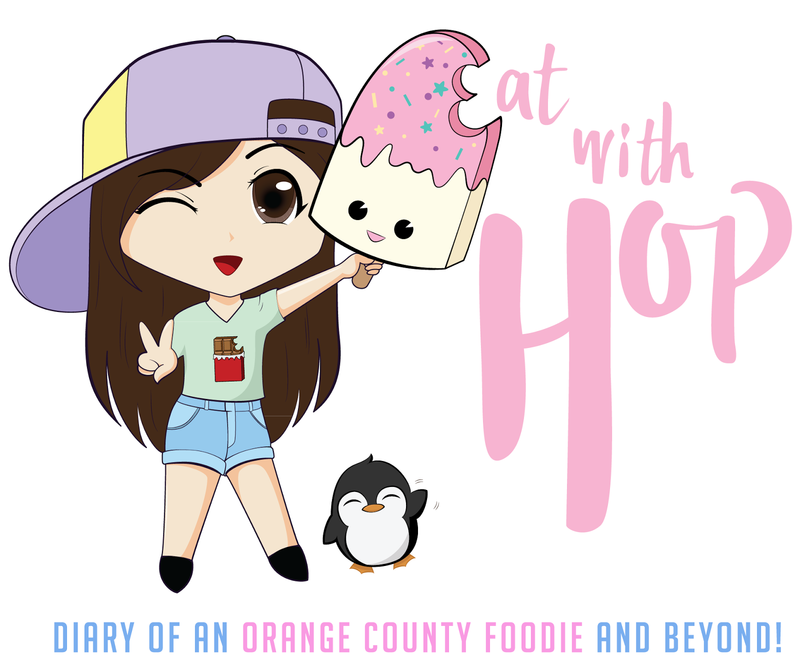 I especially love the Thai Tea! 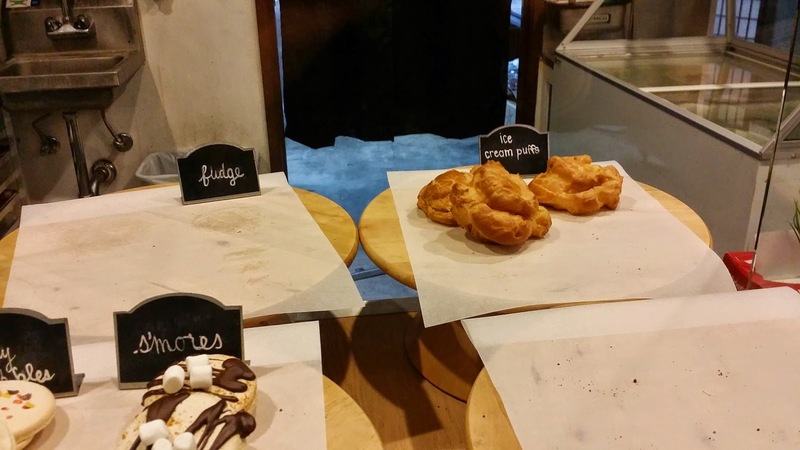 Be careful when you come here though because they are not always consistent with their choices! Let's just say... it's always a surprise what they will have and what they will not have because they don't always bake the same things or will run out of certain cookies.